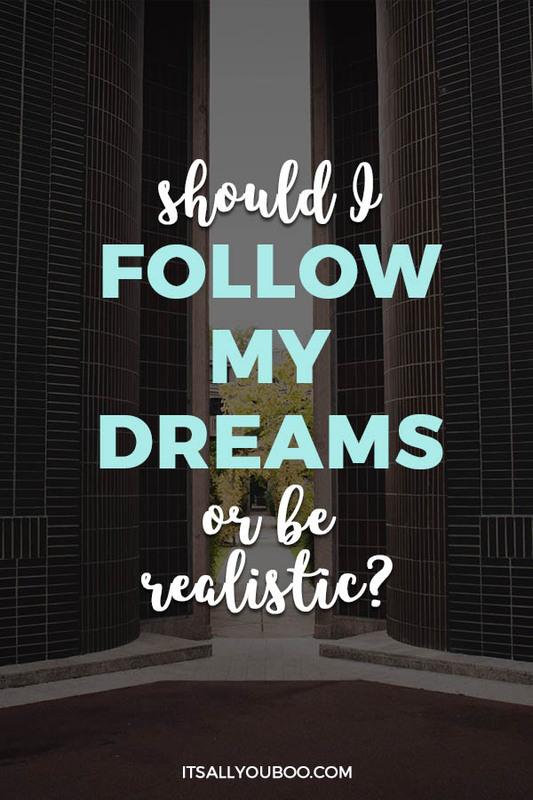 Should I Follow My Dreams or Be Realistic? Want to know if you should pursue your dream or make money? The internet has no shortage of inspirational content and feel-good motivation these days. We’re constantly surrounded by success stories of normal, everyday women who have somehow become InstaFamous, or built 6 or 7-figure business empires that freed them from soul-sucking jobs. Somewhere between the TED talks, InstaQuotes and podcasts, a fire was lit deep in your heart that made you realize you were meant for more in this life. So, Should You Follow Your Dreams? If all these other amazing women you’ve read about could take a chance, follow their dreams and experience success, why can’t you join their ranks? How do I even make it happen? And… am I crazy for even having these kinds of aspirations? Maybe you’ve found yourself searching for real ways to make money from home? 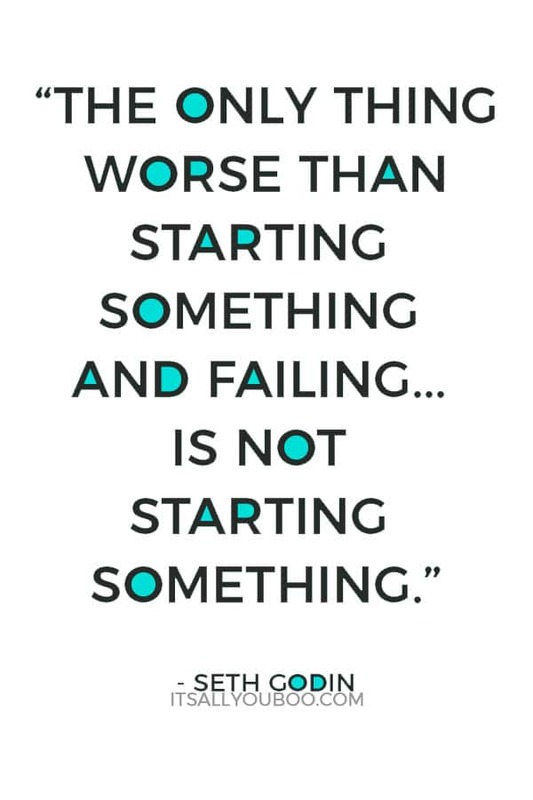 Or can’t stop thinking about quitting your day job and starting a successful blog or business? I’ve been there, this is exactly to decide to follow your dreams or be realistic. Take it from a “crazy” lady like me who was in your shoes 7 years ago. I was a young CPA working at a global accounting firm, then at a large national bank. I had a window office and six-figure salary but still felt like something was missing in my life. Early in my career, I thought “going after your dreams” meant climbing the corporate ladder. Instead, it was eating away at my soul. I longed to ditch the spreadsheets and get back to my creative roots. After my own wedding, I ended up designing invitations and stationery for friends because they were so impressed with the ones I made for myself. When referrals started coming in, I suddenly realized that I’d already done “market testing” for my product, and had accidentally started a bona fide design business! It started off as a side-hustle where I’d work on it on evenings and weekends. But as business picked up, it got harder to balance the demands of my day-job along with serving my clients. 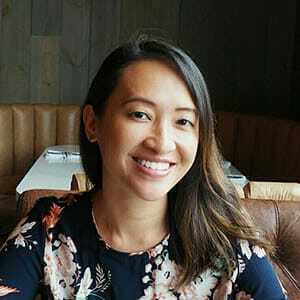 Working on my business brought me so much joy I’d never experienced before – I decided to go part-time at my job (it felt SO SCARY at the time). Within 6 months, I knew it was time to take the leap and escape the 9-5 to become a full-time entrepreneur. I know you’re revved up, but let’s think this through for a moment first, shall we? For many of us, the decision to follow your dreams or start your own business is primarily an emotional one. Maybe you can’t imagine sticking it out in your soul-sucking job until the glorious day you retire (like me! ), or perhaps you need a way to supplement your income to pay down debt or save for the future. Maybe you see yourself killing it on Shark Tank. Guess what? It’s ok to be emotional… at least in the beginning, because that’s what helps you find your passion and discover your WHY. Diana Raab Ph.D., an author, and speaker defines “passion” as an inclination or desire to do something one likes to do or thinks is important to do. However, once the dust settles and you realize all the hard work lies up ahead, it’s important to take a practical approach to figure out whether you should follow your dreams, or be realistic. Question: Are you comfortable with being uncomfortable? Answer this honestly – are you an adaptable person who can roll with the punches, or are you a stickler around set routines? Does the thought of selling, or plastering your face across social media as an “expert” give you the chills? If so, you’re not alone! Don’t let your fear stop you from going for it. Many entrepreneurs have had to overcome personal obstacles before experiencing business success because nobody was born a master from Day 1. The sooner you understand the fears and knowledge gaps you must overcome to grow and succeed in business, the faster you can whip yourself into #bossbabe shape. Read my article on 8 Questions To Ask Yourself Before Starting a Business to see other practical things you should consider before you decide if this path is right for you. So, you’ve decided to go for it – Congrats! I knew you had it in you, babe. Here are some practical steps on how you can start “responsibly” going after your dreams without it feeling like a gamble. I’ve never believed in 100-page business plans, but I do think it’s important to write things down! Otherwise, ideas kept in your brain will turn into chaos. Planning is important because you need to chart out your intended destination before you get behind the wheel and drive. Whether you get this done on the back of a napkin or in a pretty notebook is up to you. Keep in mind, this isn’t meant to be a one-time deal. A business plan is fluid and could change as your business evolves. You’ll get the best results by revisiting your plan AT LEAST annually and updating it as necessary. 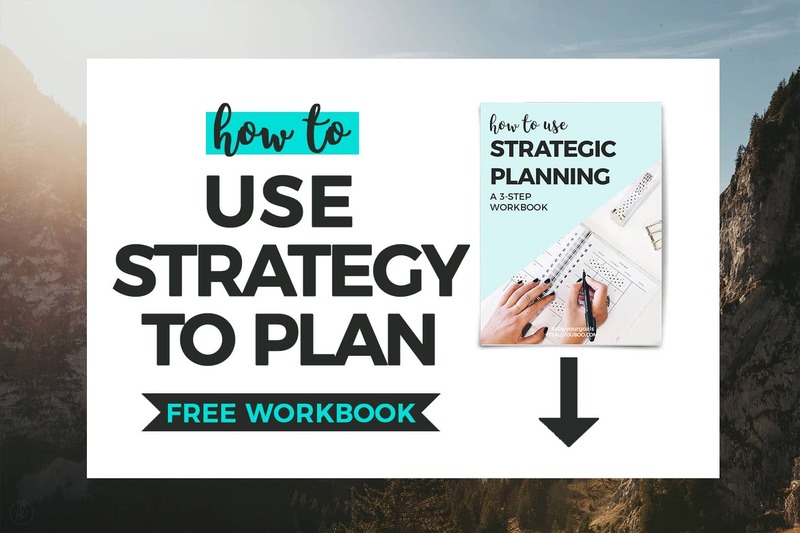 For those who need a little bit of help getting started to check out this Printable Strategic Planning workbook to help you plan your dream. It’ll help you chart out your motivations, and reverse-engineer your goals into easy, actionable steps. As much as you want to call in sick at work (and never go back), I’d recommend you stay put for a while, especially if it’s your first rodeo. Even if you’re struggling in a toxic work environment, it’s just for a while longer. Your job is your safety net. This is crucial, especially if you want to follow your dream with no money. The LAST thing you need is the added financial pressure of paying rent or putting food on the table without any money coming in. In the beginning, you’ll be testing out a lot of business ideas and strategies before you see what sticks. You’ll likely burn through some savings and make some mistakes. Keep side-hustling until you see consistent revenues rolling into your business, or you have enough projects/clients booked out to cover your living expenses for at least the next 3-6 months. Numbers are definitely one of the scariest parts of running a business! According to the Bureau of Labor Statistics, 50% of businesses fail within their first 5 years. The hard truth is that it usually happens because the business runs out of cash. Cash is the lifeblood of your business, and the numbers don’t lie. Before you go all-in, do yourself a favor and create a business budget or a financial projection of your business over the next 3 to 5 years. Estimate all your business expenses including start-up costs, your phone & internet bills, utilities, rent, online services or memberships, marketing costs, and bank fees just to name a few! Budgeting will help you create a clear picture of how much money you need to stay in the game. Then, start building up your savings and set aside at least 6 month’s worth of estimated operating expenses so that you have some cash to work with. Start thinking about your business as an investment, where you’ve gotta spend money to make money. Going after your dreams is a journey that often feels lonely — That’s why being around like-minded people is vital. Shed the crazy notion that you have to figure everything out on your own. Find fellow business owners in your social network or in mastermind groups who can relate to your struggles and way of life — they can motivate you and keep you accountable for your goals. My first “real” clients came from referrals from friends and family (no shame in that!). Don’t be shy talking about your business, and what you want to accomplish. You’ll find that people around you are more than willing to help you out – you just have to ask! If you’re in this, you’re passionate and you have a plan, pursue your dreams and live your dream life. In the end, it’s not a question of, “Should I follow my dreams or be realistic?” It’s a matter of following your dreams realistically. Ready to create a simple yet realistic plan for following your dreams? Get the Printable Strategic Planning Workbook, and plan out your dream, step by step. Going after your dreams could be one of the most fulfilling and life-changing decisions you ever make. I hope you’ll take the plunge and discover that it’s absolutely possible to make a living doing what you love! You can achieve your dreams and reach your goals! I’m rooting for you, Crazy Lady! 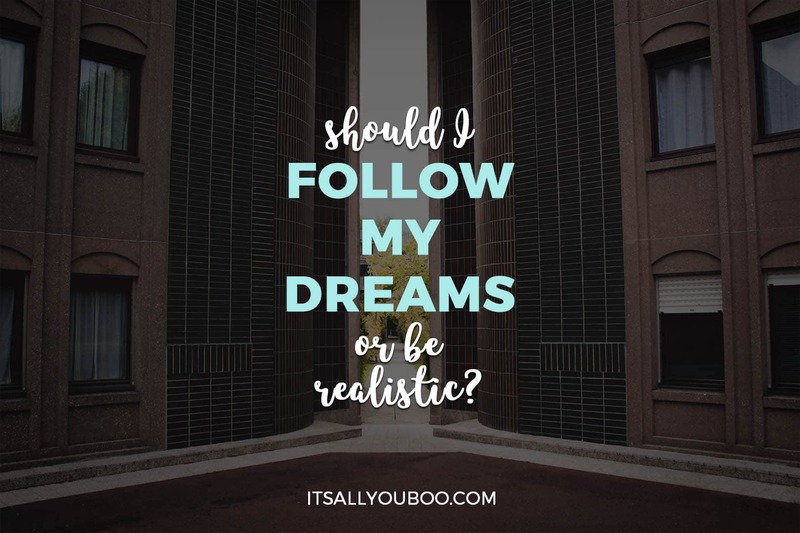 Will you follow your dreams or be realistic? Charlene is an accountant turned full-time business owner and mompreneur. 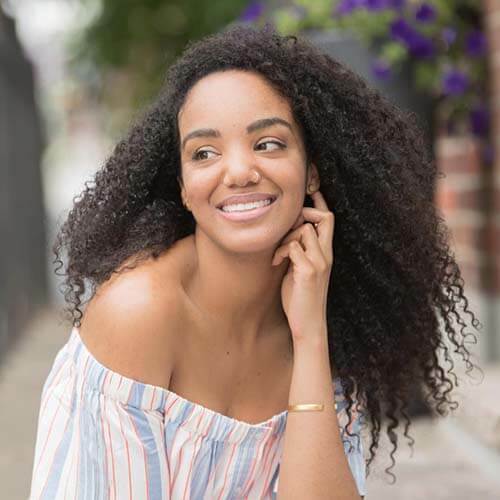 Her blog, Crazy Cute Co., helps ambitious women build businesses with the strategies, financial knowledge, and mindset needed to cash in on your passion. Such an honour to have my article featured on this blog! 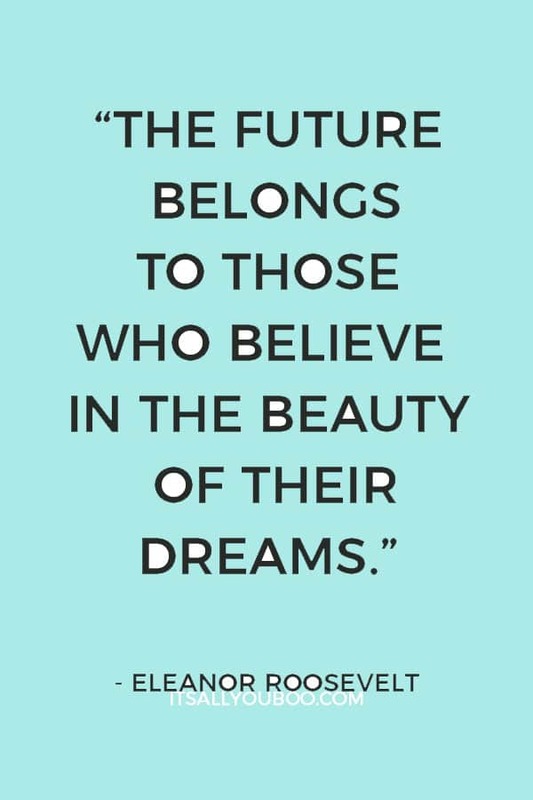 I’m looking forward to seeing you all pursue your dreams in your own way! Thank you so much for helping us find the courage to say yes to our dreams! I love this! You have to have a plan and you have to get uncomfortable. 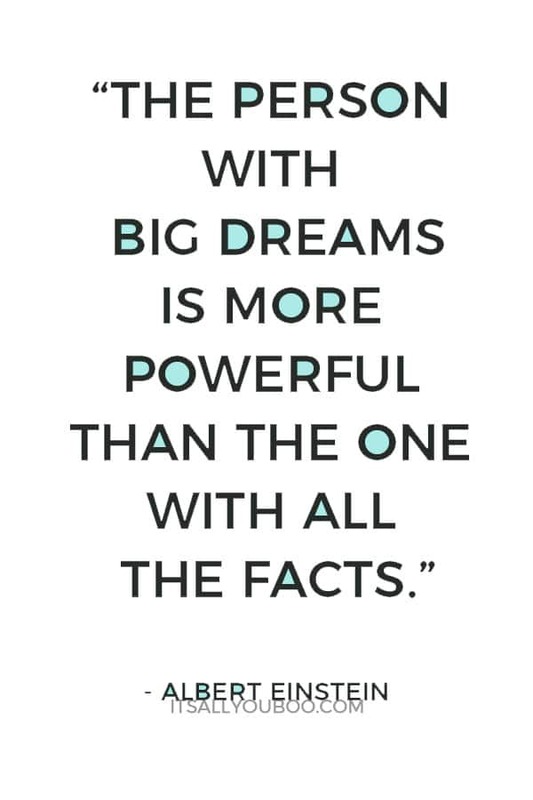 I believe wholeheartedly everyone should follow their dreams! You just have to be ready to put the work in! Absolutely! #YOLO right? As long as you do your legwork and have a plan, it shouldn’t feel like a gamble. You got this! Totally agree with this, Barry! It definitely helps to plan with the end destination in mind, and work back from there. I’m a realist but I do think it’s possible to do both. I’m a firm believer in being wise and making sure your ducks are in a row before you throw yourself out there. Couldn’t agree more, Stacie! Taking a risk certainly shouldn’t mean taking a gamble! As long as you do your homework and put your ducks in a row before taking that leap you will be better prepared to deal with the unexpected! This is a great balance of both realism and dreaming. Keeping your day job is so important. I’m tired of some folks telling people to quit their job on a whim. Your job funds your business! Great tips! Thanks Kendro! Definitely starting a biz as a side hustle will allow you keep some money coming in while you transition at your own pace. Can’t make sound business decisions when you’re worrying about how to put food on the table! It is def important to follow them. Even if it doesn’t work out the way you want at least you tried. Better than what ifs and wondering. Plus if it makes you happy then of course. No one ever knows what else it may lead to. There is so much that each of us can do to start fulfilling our dreams right now. I love that you are following your heart and also making calculated decisions at the same time. Thanks Elle! I truly believe life is too short not to go after what you truly want in life!